When people find out I’m really into the DIY lifestyle, one of the first questions that comes up is how I fit all of those projects in when I’m so busy with other things. I should mention I have four small kids that we home school, a home business and a time-consuming RV project. Sometimes, my life feels like one big juggling act. But I like it. Mostly because we’ve simplified so much that we’re able to live the way we do and because we’ve figured out some tricks that make it a lot easier. I even have spare time! I’ve shared my DIY routine before (you can read it here) because I know that creating one will help immensely. You’ll see that we have a lot of things we do ourselves, but creating a routine works even if you’re only doing one or two projects. If available time is at a minimum, start small (which I recommend doing anyway if you’re just beginning so you’re not overwhelmed). Choose one project on this list, schedule a time on your calendar and give it a go. Once you’re comfortable with that, try something else (add new projects as quickly or as slowly as your schedule allows) and once you’ve got a few projects you’re comfortable with, create a routine so you can make the time to get them done. If you work during the week or otherwise have a really busy schedule, try setting aside a day each week or month to do a bunch of projects. It’s especially helpful if you choose projects that use similar ingredients. For instance, I like to make my herb-infused balms on the same day. They require similar ingredients and the same amount of time to complete. 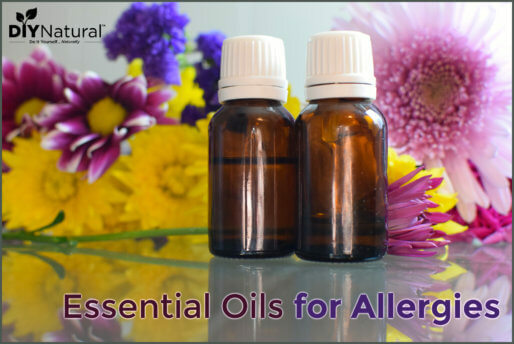 So it’s much easier for me to get all of my herbs and carrier oils out at once and do it on the same day. If kids are the main reason why you have limited time, include them as much as possible. Obviously, some projects, like making bar soap, are best done when they’re out of the kitchen. However, even then, they can still help you measure certain ingredients and gather supplies. In my house, our kids range in age from 4 to 9 and there’s a lot they can do to help with DIY projects. They grate soap for laundry detergent. They measure and pour ingredients for lotion bars. And my goal by the end of the year is to have at least my two oldest kids know how to make yogurt entirely by themselves. 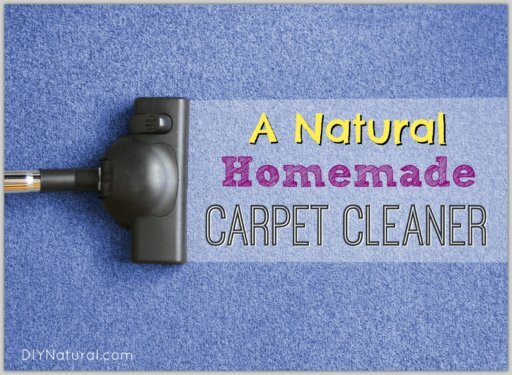 I had to learn something early on in my DIY journey – I can’t do it all. And neither can you. It was really hard for me to learn, but it’s so helpful to know that if you’re limited on time, you won’t be able to DIY everything. That’s not to say that maybe someday you will, but for now, it’s best to prioritize. So, get some paper and a writing utensil and make a list, numbered 1-10. Now, write out the top 10 DIY projects you’d like to do, from most important to least important. You may get to them all in a month, or it might take a year. But if you start out knowing what’s most important to you to learn, it’ll help when you get discouraged and feel like you should be doing more. 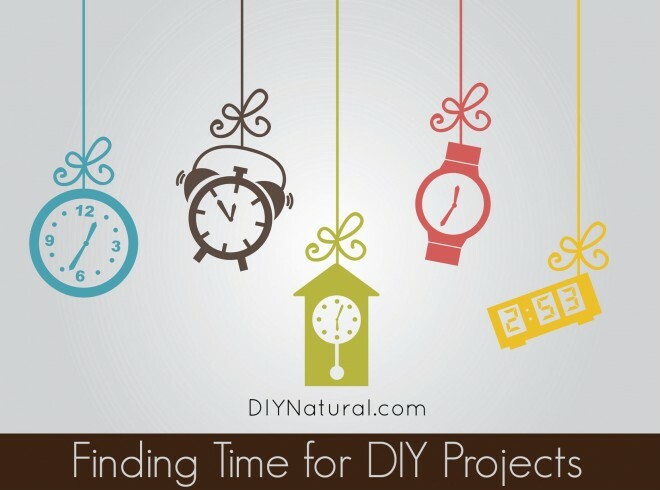 How do you make more time for DIY Natural projects? I know I’m a bit late on responding to this,(proof that you can’t do it all.) I haven’t done this yet but am thinking about it. I have at least one friend who is as interested in DIY as I am. I would like to work out some kind of arrangement where, for instance, I could double up on my batches of laundry detergent while she might double up on dish washer detergent and we trade. If money does not come out equal, we could just trade the next time-I do the dish washer detergent and she does the laundry. So far just trading recipes has worked great. If I try 2 or 3 recipes for the same thing but one is superior to the others, I let her know which recipe works the best and vice versa. Saves time, money and frustration. Just read the post above me, duh, pretty much the same thing. Still a very good idea, Terry. I’m going to approach a friend about trying this out. You are right in that one cannot do it all. If we were living out in the wilderness we might have to do it all, and then we would be looking for ways to not have to, because we would be totally worn out. That’s why people learned to share, to barter, to trade, and money was invented. I think you have to pick what interests you, and what you are good at doing (this is where it becomes a skill that makes your product desirable to others – thus the trading, bartering, etc. This is how it was, and still is, done in many parts of the world and thru history.) Humans are meant to live together, not in solitary situations. There is no shame in not doing it all. Do what you can, what you enjoy and/or value. Trade your skills and what you can make for what others can do or make. Get together with others who you can share the work/supplies/equipment with. Share your knowledge with others, and learn from them. And also, since there are many companies, even mainstream, that are making ecological products for purchase in regular stores, patronize them and buy their products. Otherwise, they will go out of business.